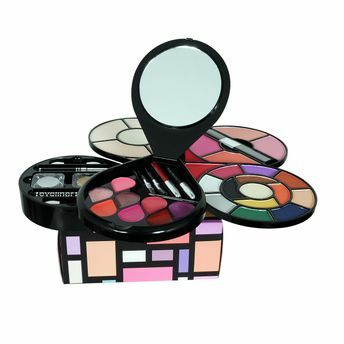 Wake up to another day of work with a blissful feeling of looking your best with this Makeup Kit from Incolor. With a large number of contents, This kit has every shade in eye, Lip and cheek makeup. Additional Information : Established in 2009, Incolor brings to you wide array of innovative cosmetics that cater to women from all walks of life.Available in vibrant colors with exceptional formulas and trendy design, Incolor makeup products amp up your daily makeup look and make you look all pretty and gorgeous.